You encountered the Talz mercenary Broonmark on Alderaan and he left you no option but to kill him in brutal, single combat. 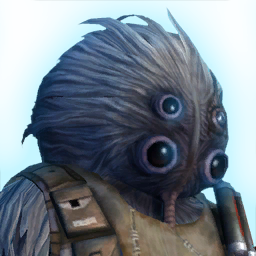 You encountered the Talz mercenary Broonmark on Alderaan and were able to convince him to join your alliance. You encountered the Talz mercenary Broonmark on Alderaan, but were unable to convince him to join your alliance.